Gauntlet (2015) was free through PS Plus in December and I finally got around to trying it out. 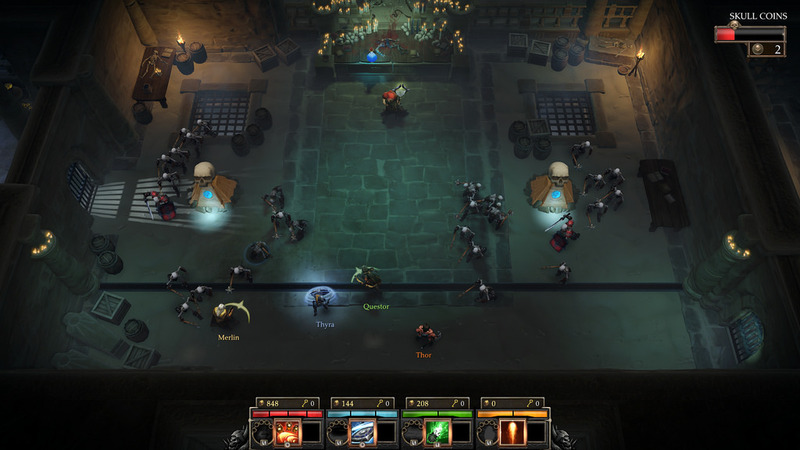 It's an example of the basis of all Hack and Slash games. It makes sense since Gauntlet itself was one of the main origins of the entire genre. This one has been updated and modernized a bit, but it's a hack and slash game at it's core. I played a few levels of single player to see what it has to offer and quickly realized that this game is truly made to be played with friends in local co-op. I'm going to keep it installed for the next time I have some people over who would be interested in local co-op. 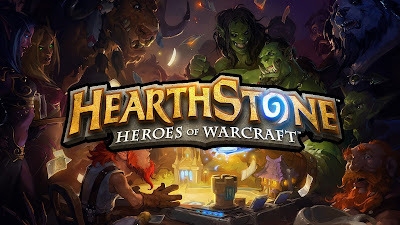 It's not that great single player but with friends it could be so much fun. 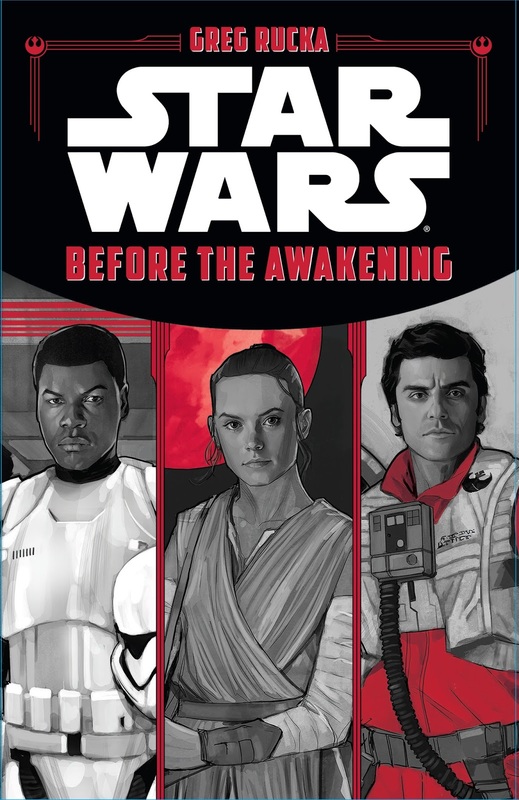 I'm still catching up on some of The Force Awakens tie-in novels that slipped past me in the months leading up to the movie. 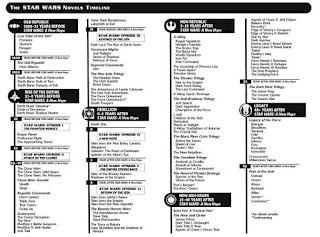 While I basically read every adult novel of Star Wars as it comes out, I skip over most of the young adult or early reader books. Generally this has served me well, but occasionally there's a Star Wars young adult book worth my time. It turns out Before the Awakening is one of those. It's a book broken into three parts, one for each main character in the movie. Finn's story is all about his stormtrooper training, relationships with his squad, interactions with Captain Phasma, and his first deployment. It's really good backstory. Rey's story covers a few months of her scavenger. It explains where her mechanical and piloting skills come from as well as giving some more information on how she views the world. Poe's story ties in most directly with it basically leading right up to the point where the movie starts. We learn about Poe's skills a bit but mostly his story fleshes out the relationship between the New Republic, the New Republic Navy, Leia, and the Resistance. I feel like I have such a better understanding of the political situation in the galaxy after reading his story. Before the Awakening is a quick read but it definitely adds some depth to The Force Awakens. I think it's worth your time. I have a confession to make. I'm playing a dumb, grindy, exploitation, micro-transaction, f2p, mobile game. 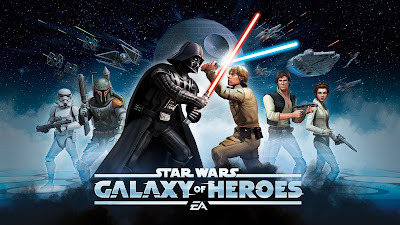 If you couldn't tell from the title of the post, that game is Star Wars Galaxy of Heroes. It's so out of character for me in most ways. I really like engaging and unique mobile games. I typically can't stand this low-input waste-away-the-hours check-back-frequently type of game. But this one is Star Wars. And it's grabbed me. At the bare minimum I've been doing the daily quests every day. Most days I've been checking in a few times throughout the day. I'm upgrading gear, giving my characters new moves, unlocking new characters, leveling them up. All the things you would expect from this type of game. It's actually not that far off from a game like Final Fantasy Record Keeper. Except that it's Star Wars. Apparently that makes all the difference to me. In the global arena ranking I generally hold my own and am consistently in the top 1000 players. Worldwide. Ugh. I can't believe how a game like this has hooked me. Anyway, I haven't spent money on it and it's a great game to check in on a few times each day. Especially while I'm doing something else. It's a good multi-tasking game. If you like Star Wars and you're a fan of this type of game you should definitely check it out. If you know this type of game isn't for you then you can safely avoid it. 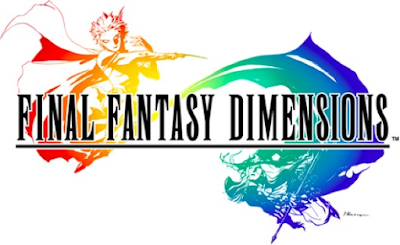 After trying out Final Fantasy IV: The After Years over the past couple days and bouncing off the game I thought I'd try the other iOS Final Fantasy that I've been putting off, Final Fantasy Dimensions. This one is a little different. All the other Final Fantasy games I've played on iOS were remade, remastered, and ported over to the system. They were mostly the mainline Final Fantasy games and they were really good. Final Fantasy Dimensions is the first Final Fantasy game they made specifically for mobile... and it's not very good. The controls aren't nearly as responsive or intuitive as all the other mobile Final Fantasy games I've already played. You can tell this was one of their first attempts at the platform. It just feels rough. Not to mention a story that starts off overly heavy on exposition and with some pretty bad player guidance. It makes for a lot of frustration right off the bat. This is my second time really trying to get into Final Fantasy Dimensions and I can tell it's just not going to happen. I'm glad I gave this one a couple tries to see what it had to offer, but I'm moving on. Final Fantasy X-2 is still near the top of my "to be played" list and I have good memories of the battle system in it. I hope that one lives up to what I remember. After having Final Fantasy IV: The After Years on my iOS devices for awhile I figured it was time to actually try it out. The structure of the game is broken into "tales". Different characters are highlighted in each tale but (according to howlongtobeat.com) altogether they add up to about the length of a typical JRPG. This game is the same world and lots of the same characters as Final Fantasy IV. It's a direct continuation of the story, only years later. One of the main character's is the son of Final Fantasy IV's main characters. It really feels like I'm retreading old ground when I'm playing The After Years which is probably what some people want, I'm just finding it boring instead. I don't think I can force myself to push through and find the fun in this game. Although I want to try all the spin-offs from the Final Fantasy series, I feel no desire to force myself to play through a spin-off if it isn't engaging. 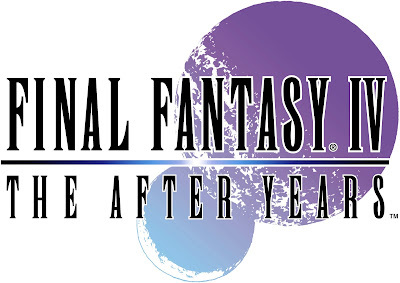 Where I really struggled to get through a few of the mainline Final Fantasy games I still felt it was worth it for a sense of mainline completion. I definitely don't have that drive for spin-off titles. I think the problem is I'm probably not the target audience for this game. There is a huge Japanese fan base which feels that Final Fantasy IV was the best game in the series. This game is for those people. I'm not one of them. 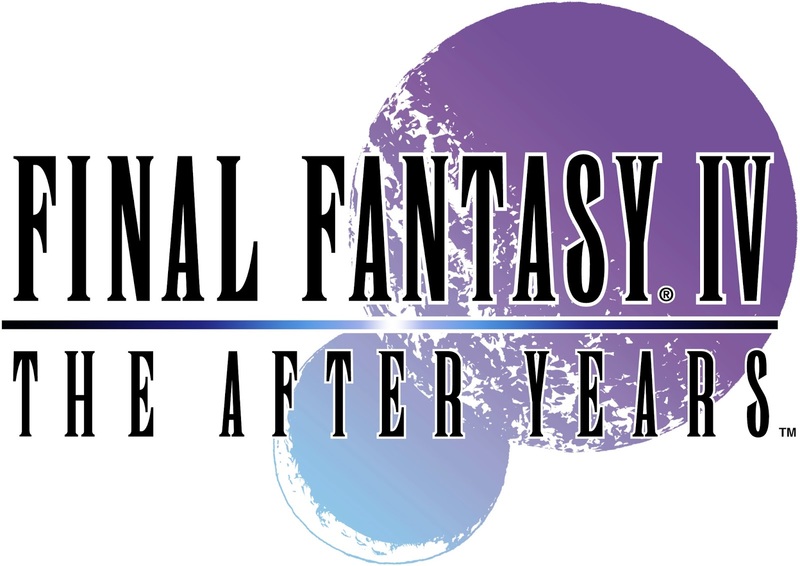 I thought Final Fantasy IV was pretty good, but not fantastic. My golden age for the series happened in the PSX era of Final Fantasy VII through IX. I'm putting this game down, most likely permanently. I played enough to know what it has to offer and that's all I needed to see. The next Final Fantasy spin-off I'm most likely going to revisit is Final Fantasy X-2. I remember just loving the battle system in that game. I hope it holds up to my memories. I picked up Steamworld Heist when it suddenly appeared on a bunch of "game of the year" lists in early January. I had been interested in it since I loved Steamworld Dig but for some reason the release date (near the end of December) had totally slipped my mind. If I would have played this before the end of the year it would easily have been in my games of the year post. 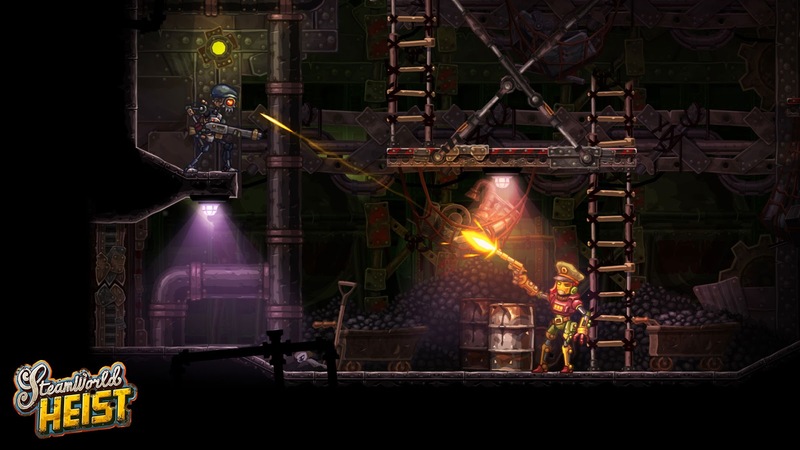 Steamworld Heist is a 2D sidescrolling turn based strategy game with skillshots and trajectory skills. It's awesome. You all know I love a good turn based strategy game, and this is a great one. It follows the aesthetic of Steamworld Dig but beyond that similarity it is it's own game. Steamworld Dig was a dig deeper and upgrade your character sort of game. Steamworld Heist is all about being a ROBOT SPACE PIRATE. Maybe I should have put that up at the front of the post. YOU ARE A ROBOT SPACE PIRATE! It's so much fun. The progression mechanics of acquiring new gear and finding new characters for your robot space pirate crew are fun, if nothing too unique. But the gameplay itself is the perfect blend of strategy and skillshots. You move, trigger abilities, and aim in a turn based mode. 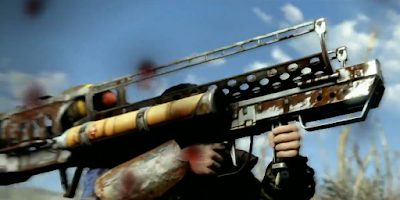 But when you actually attack an enemy (usually with a projectile weapon) you have to aim manually. There's no behind the scenes dice roll or random number generator to determine if you hit or how much damage you do. It's all up to your aiming skills. I bet almost any of you could enjoy this game on casual difficulty. And if you happen to be a turn based strategy fan you will probably adore this game... and crank up the difficulty. Either way, it's a great game and it gets a big recommendation from me. Steamworld Heist is currently out on 3DS but it's coming to almost every platform in the near future. 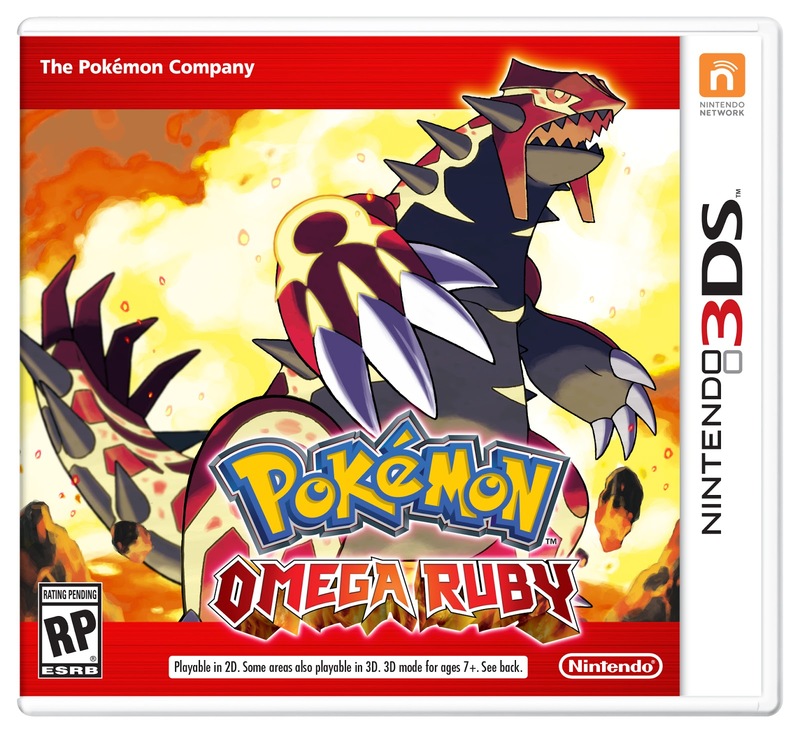 So if you don't own a 3DS just keep your eyes out for it to show up on your platform of choice. 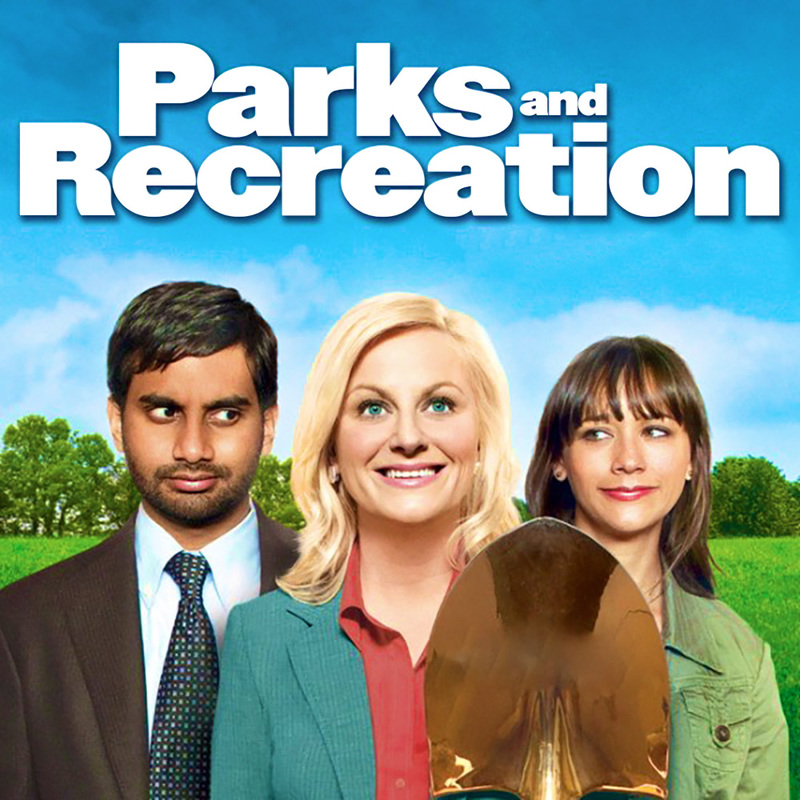 Typically I like to review season by season once I get into a show. With Voyager I actually didn't realize I had finished the first season until I was half way through Season 2. It looks like the first season was shorter than typical and the second season was longer, so this will cover them both. There was no clear break point or big season finale for the first season, they just kind of flowed into one another. 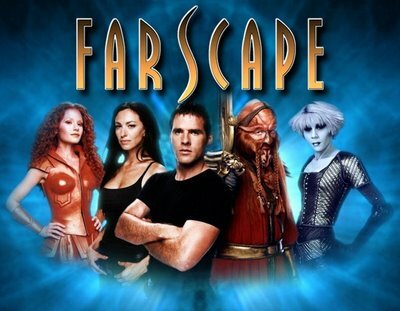 This is such better Star Trek than my attempts to watch the other shows. Those quickly failed when I got bored or frustrated with some part of the storytelling or production. Voyager still holds up, even the first season which is from 1995. There's a bit of crossover with the other Star Trek shows to launch the pilot of Voyager, but after the first episode the crew is lost and alone in the Delta Quadrant. In Star Trek terms this means they've mysteriously been sent to the other side of the galaxy and it's going to take roughly 75 years for them to make the journey back to Earth in the Alpha Quadrant. It's such a cool departure from typical Star Trek. 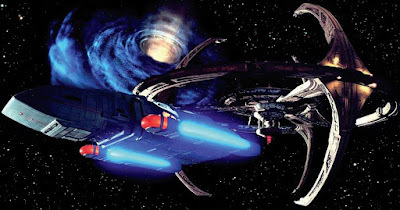 All the other shows take place in the Alpha Quadrant with the support of Star Fleet and around areas of the galaxy that are familiar to humans. There's exploration but there's also the sense of never being too far from back up. Voyager takes the opposite approach. They give the crew a brand new top of the line ship, the Voyager, but then immediately cut them off from all support and all contact with the rest of the human race. It's breaks with typical Star Trek in a fantastic way. Within a few episodes I was already connected to all the main crew members and super excited to see them develop. And they actually do develop. Unlike other Star Trek shows where you can drop in anywhere and they're basically the same crew... Voyager has a crew that grows and changes over time. This is what I wanted in a Star Trek show. Real exploration in unknown areas of space. Crazy new encounters on the wilds of the known universe. And real crew growth and development. There was only one really bad episode that involved time travel, Amelia Earhart, and random alien abductions from the 1930s. There were maybe one or two more that weren't very good. But overall the 42 episodes that make up the first two seasons are still really good. Season 2 ended on a cliffhanger where the ship was taken over and almost the entire crew was abandoned on a planet. My guess is that by episode 2 of Season 3 the crew will be back on the ship and ready to continue their trek home, but it's still fun to see radical changes thrown in for season ending episodes. I'm having a lot of fun with Voyager and I'm going to keep watching for now. Onto Season 3! I grabbed Pokemon Omega Ruby before heading out on my last trip and finally got around to beating it the other day. Every once in a great while I get the craving for a Pokemon game and this one did the job just fine. It has Pokemon, gym leaders, a story, the Pokemon League, and everything that comes with a Pokemon game. It was fun to play through fairly quickly. The thing that I noticed most of all is how much extra stuff they've added to Pokemon games over the years. I can see how it would be nice if you're going to devote hundreds of hours to Pokemon to have all these side activities, but I'm just in it to play through the game once and then move on. When I was really into Pokemon as a kid it was with the original two generations of the game. They were just about Pokemon, leveling up, and beating the game. I guess that's still all I want. These modern incarnations of Pokemon have so many side activities it's almost overwhelming. News feed, special powers interacting online, mystery trades with strangers, Pokemon beauty contests, Pokemon training, Pokemon virtual pets, Pokemon Finder, Pokemon everything. I barely touched any of it. But I bet if I was a kid and this was one of the few new games I got each year I would really get my money's worth out of it. I basically went critical path through the main story. I really had fun with it that way. I had a great little Pokemon adventure and now I'm done. Total play time was around 12 hours. I think I'm all set for Pokemon games for awhile. I'll keep my eye on the next one that comes out, but if my personal history is any indication I'll probably wait a few more generations before I play another one. Except for Pokemon Go. That mobile game looks awesome. 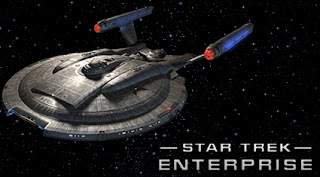 In trying to dig into Star Trek from my younger days I decided to pretty much tackle the different series in order and see if any of them stick. While TNG's late 80s / early 90s production values and pacing didn't hook me I still appreciated the acting and the stories. Deep Space 9 was next up and it failed to grab my attention on any front. The production quality is similar, if not a bit better, but the acting and the premise just aren't as interesting as TNG. Star Trek is typically about exploration but Deep Space 9 is about a space station that stays put in one place. The most interesting thing about it is that it has crossover episodes with both TNG and Star Trek Voyager. It bridged the gap between to two and that's pretty cool. Thinking back about it, there was some form of Star Trek on TV for a long time from the late 80s all the way to the early 2000s. It's weird that it's been off the air for so long now. Anyway, with DS9 I tried the first few episodes and then reverted to the old standby of a "best episodes" list. After watching a handful I knew this one wasn't going to hold my attention either. It's tackling some interesting topics and the setting gives it a different feel from all the other Star Trek shows I've seen over the years. But that very difference is what turned me away from it. I'm moving onto Voyager next, but at this point I'm wondering if these shows are just dated. They're from a different era of TV production that doesn't click with me anymore. I still really like Star Trek as a universe. I love the new movies. But I may simply need to wait for the new show to premiere next year with modern production sensibilities before I'm able to get back into a Star Trek show. Let's see what happens with Voyager. In my mind it has always been my favorite, but that could just be nostalgia talking. I remember being a fan of Star Trek The Next Generation (TNG) when I was little. Based on when the show was released I probably didn't watch most of it until it was in syndication, but it's possible that I watched the last few seasons as they came out. It's been on my list to get back around to checking out as an adult. I finally did and it's not a show that's sticking with me very well. I'm not feeling it. I can tell the show is really good in some ways after findings it's feet after the first few seasons. But it's just so... early 90s. There was a way they made TV then and it just feels like it. It's a product of it's time. I can't quite get over it. In shows like this I really miss an overarching storyline. I guess I take it for granted now that most shows have one, but back then almost every episode was self contained and it was rare for big changes to carry over week to week. This means it's easy to watch any random episode of TNG without context. It also means it's less compelling overall as a series. But as I said, TNG isn't bad. It's just very 90s and I can't deal with that style anymore. I watched some of the better episodes and then decided to move on. I might be on a quest for Star Trek now. I'm really interested to see if any of the newer ones can hold my attention. I remember Voyager being my favorite because I watched it every week for the entire series. I've never watched Deep Space 9 but maybe I should give it a chance? And the newest Star Trek, Enterprise, I think I may have watched one or two episodes but that's it. I'll keep you apprised of my Star Trek attempts. I had a lot of fun with this playset. 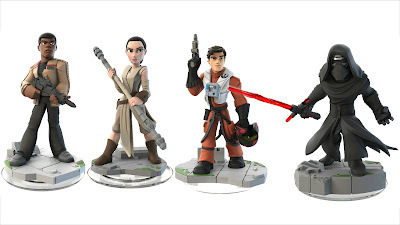 So far I've played through all four available Disney Infinity 3.0 playsets and this one has been my favorite. 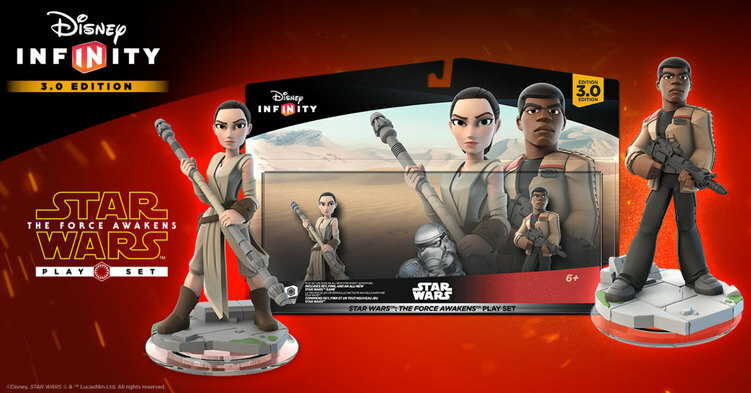 The Force Awakens set comes with Rey, Finn, and the playset piece itself. I love the look of the characters and I also ended up grabbing Poe Dameron and Kylo Ren as well. I wanted all of them! They just looks so cool! The gameplay is very similar to the Rise Against the Empire playset which covered the original trilogy, but that's not a bad thing. It follows the events of the Force Awakens through the use of basic exploration, traversal, and combat. Really, this is an excuse to have another way to interact with the newest Star Wars movie. And more than that, it's a way to introduce my kids to the new characters. They love playing in the Disney Infinity 3.0 toybox mode where they can run around and swap characters freely. They were super excited to see that I got new characters they could play with and by the end of the first day they knew all their names. Both of my kids are still a little too young to be interested in the Star Wars movies, but it makes me so happy to see them playing with the toys. I never want to force them into anything they're not into, but every time I've put a Star Wars toy near them they've been interested in it. I'm curious to see if they'll latch unto the movies at all once they're a bit older. If you already have Disney Infinity 3.0 then The Force Awakens playset is a no brainer. Go get it. 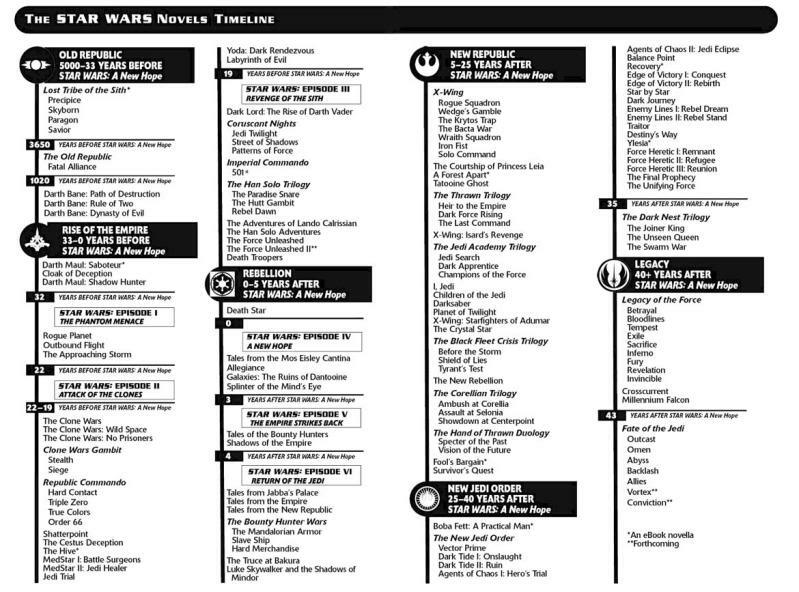 Before The Force Awakens I started re-reading my way through the old Star Wars expanded universe which is now called Star Wars Legends. I was moving at a decent speed and then The Force Awakens released. I love Star Wars Legends, but now all I want to know is what happens next in this canon version of Star Wars. Legends is still cool and will always hold a special place in my heart but I've completely lost my motivation to re-read through it again. I feel like I'll revisit Legends again sometime in the future but now isn't the time. I'm too excited about the new reality of the universe that The Force Awakens has presented. I want to know more about that. I don't need to drag myself into what could have happened. There are more canon novels and comics coming out all the time. So, I'm putting my Legends exploration on indefinite hold. I'll explore the new canon Star Wars expanded universe as it releases and outside of that I'll have more time for new books again. I was kinda surprised at this reaction after watching the latest movie, but oh well. Life is full of surprises. 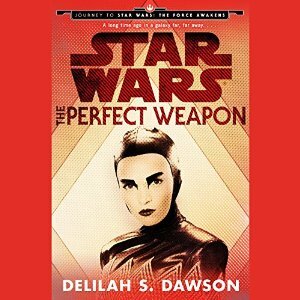 The Perfect Weapon is a Star Wars novella that left me wanting. It does a decent job of painting the picture of a life as a mercenary or bounty hunter on the edge of the law while the pacing and action are decent enough. My problem with the novella is that it all seems to be leading up to finding out what is so important that is contained in a box the main character has to retrieve. And (spoilers) in the end she gets the box but doesn't open it. It's a frustrating end to the decent story that led up to it. Instead of adding a unique little facet to the Star Wars universe this novella doesn't really add anything. You're safe to skip this one. Besiege is a fun little sandbox right now. It has a handful of levels and lots of cool parts to assemble. Oh, and the point is generally to destroy stuff. It's still in alpha and it's obviously not a fully formed experience yet, but it reminds me a lot of Kerbal Space Program. You're given some tools to build a vehicle or machine with, a task to complete, and told to go for it. After that it's all experimentation. I'm not nearly as good as videos and gifs I've seen of other people playing the game, but I will admit that it's fun to mess around with the tools provided. If you see this one for cheap on a Steam sale like I did then it's probably worth your time to grab it. I've been listening to the Story Wonk podcast series lately. They do story seminars and pop culture analysis in podcast form and they're amazing. After listening to their entire backlog of the general pop culture podcast The Lightbulb, their Harry Potter series Dear Mr. Potter, and the Star Wars series Story and Star Wars I still wanted more. I saw that they had a Buffy The Vampire Slayer podcast series called Dusted going through the entire TV show episode by episode. I had always kind of dismissed Buffy since it was before my time but I figured if these two people think it's worthwhile to cover the entire series then there must be something there to check out. The first season of Buffy is rough but I can definitely see the core of a series that could become good. The setup to kick off the series isn't bad but then it's followed by a lot of "monster of the week" type episodes that don't hold up as well. The episode about Angel halfway through the season is the first one that made me stop and think, "hmm... there might be something to this show." Then I got few more monster of the week episodes but then the season ends really strong with an episode all about prophecy and Buffy's role in the world. That was an excellent episode. 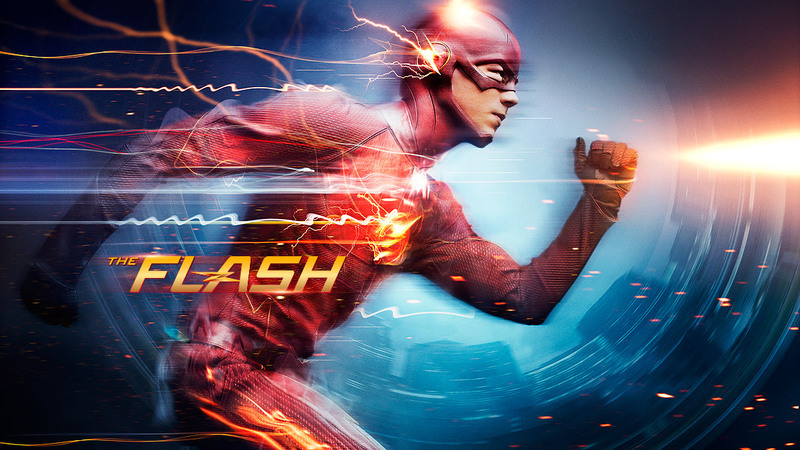 After the entire first season my verdict is... cautiously optimistic. I can see the heart of what may become a good (or even great) show but it's not there yet. Shows have a way of finding their feet better after the first season so I'm interested to see what happens in season 2. It just occurred to me that I don't actually know that many games releasing in 2016 that have a firm release date. I can't really anticipate a game for 2016 when I don't even know if it's going to release this year. And no, a release "month" or release "quarter" don't count. That means the company doesn't actually know and it could change with no warning. It happens all the time. If those counted then I would be super excited for Final Fantasy XV, Star Fox Zero, No Man's Sky, Zelda for Wii U, For Honor, Mass Effect Andromeda, and the remastered version of Final Fantasy IX. I'm still cautiously optimistic that these will release this year, but until we get firm release dates I'm putting them to the side. 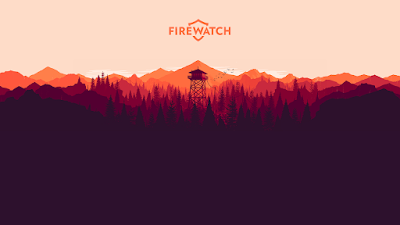 The only two games that I'm really excited for with actual release dates in 2016 are Fire Emblem Fates and Firewatch. Fire Emblem Fates is the first Fire Emblem game after the amazing success/modernization of the series that was Fire Emblem Awakening. Awakening is constantly brought up as one of the best 3DS games ever and it's still sitting at the top of my favorite 3DS games. I love a well made turn based strategy game and Awakening nailed it on so many levels. Fire Emblem Fates is shaping up to be similar but with improvements all around. And three different campaign paths which will add a ton of replay-ability. I'm so excited for Fire Emblem Fates. It's easily my most anticipated game of 2016. Firewatch is a different story. I only learned enough about it to become really intrigued. Intrigued to the point where I know I'll buy it day one when it comes out. Since that decision I haven't gone back to dig up more information about it. It's an exploration game in the wild where you're some kind of park ranger with only minimal human contact. It looks super interesting. I'll definitely be checking it out and letting you guys know what I think. And that's all I have. I just glanced through a few lists of 2016 games and everything else I'm interested in has no official release date. I'll start getting excited for those games once I know if they're actually coming out. Besides that, I really hope the Nintendo NX launches this year. I've basically owned every Nintendo console and I've gotten so much joy out of them. I want to know what surprises the NX has in store for us and play around with it. I'm so excited to see what Disney does to continue the Star Wars fandom after the launch of Episode VII. I really want to see what direction they take the anthology movies since the first one is due out this year! I'm also really excited for more information about the new Nintendo console, currently codenamed NX. All signs and rumors point to a launch sometime this year. 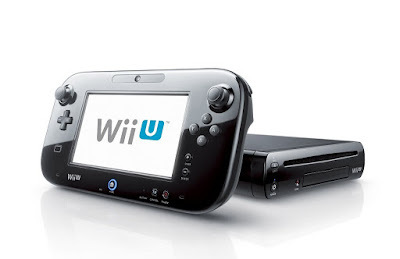 More and more it seems like it's due to be a hybrid between a traditional console and a handheld system. I'm super intrigued to see the final design. Not to mention that Nintendo is going mobile! This is the year that Nintendo starts rolling out their smartphone games and getting all their separate systems and services rolled into one. They have an amazing brand with a fantastic catalogue of games. If they do it right they could explode onto the mobile scene unlike anything before. Although my 3DS hasn't outlived it's usefulness yet. It's still one of my favorite systems and this is the year where we will finally get sequels for two amazing series. Fire Emblem Fates is shaping up to hook me big time and I'm super pumped to get my hands on Bravely Second as well. Playstation has consistently given me great content over the past few years with the PS4 and Vita. Although Vita feels like it's on the way out the PS4 is coming into it's prime. It's been out for a couple years now and very soon we'll start seeing the second generation of games on the system. That's when they truly start pushing the system in it's capabilities. How about you guys? What are you excited for in the new year! ?